Even though it’s logical that your sister or brother who lives closest to your parents is the primary caregiver by default, there are going to be many issues that you and your siblings need to talk about concerning your parents care so that intelligent decisions are made. Depending upon how well your family gets along, caregiving of your aging parents may be very easy or very difficult. Families have their own history of how each person relates to the others, the roles you and your siblings had in the past and the roles you currently play. Families also have rules about what topics are off limits and what emotions may be expressed. They also have their own guidelines about how conflict is handled – whether they confront conflict immediately or sweep differences under the carpet. To complicate matters, each of the adult children may feel differently toward your aging parents. 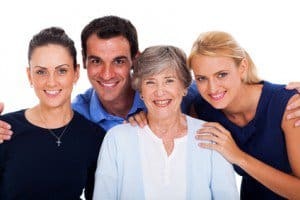 It is not unusual for families to realize that the sibling living closest to your parents may not be the one best suited financially or emotionally for the care for your parents. For instance, your sister may have recently divorced and is now a single mother with 3 kids and working full time. Or it may be that she is overwhelmed by the day-to-day elder care responsibilities of visiting your parents, managing medications, taking parents to doctor appointments and getting phone calls from a frightened parent in the middle of the night. Keeping all this in mind, you and your siblings are more likely to realize that the lines of responsibility may not be simple to define. For instance, based on his position in the family, his past history and ongoing relationship with your aging parents, your brother who is now the primary caregiver may not be the one to handle the finances. One of your sisters may be the senior care information gatherer and your sister with the medical background may be the one who keeps in touch with your parents’ physicians regarding their overall health conditions. One of the best ways to deal with the issues of caring for an aging parent is to call a family meeting. The purpose is the same whether you meet in person or have a conference call: what needs to be done to help your parents. Make a written agenda which includes all the things everyone is doing now and list what else needs to be done. Each sibling should be specific about what they can do and can’t do. Divide up the tasks but don’t expect perfect equality. Decide pros and cons of caring for your aging parents vs. senior housing or independent living arrangements. Consider a medical alert device for your aging parent as peace of mind when family cannot be there. Even if you and your siblings are just beginning to work together at these responsibilities, hold regular family meetings to make sure all of you are kept up to date about your parent’s condition and any changes regarding their care. To maintain positive family relationships, you and your siblings are going to need frequent conversations in which everyone who can, offers assistance whenever necessary. Festering resentment can only cause long-term damage to sibling relationships. Never be afraid to ask for additional help outside of the family or even the help of a caregiver support group. Caregiving is hard work and can certainly take a toll on one’s personal life. Find a caregiving support group in your area by clicking here.